I had the good fortune of seeing Milo Greene at Williamsburg Hall of Music Saturday with @MegUrbani, @bringonthefunn and @shauna_LT. Milo Greene opened for Stars and the show was sold out but I’ll confess: we were only there for MG and left to drink at The Abbey before Stars took the stage. What a great show! 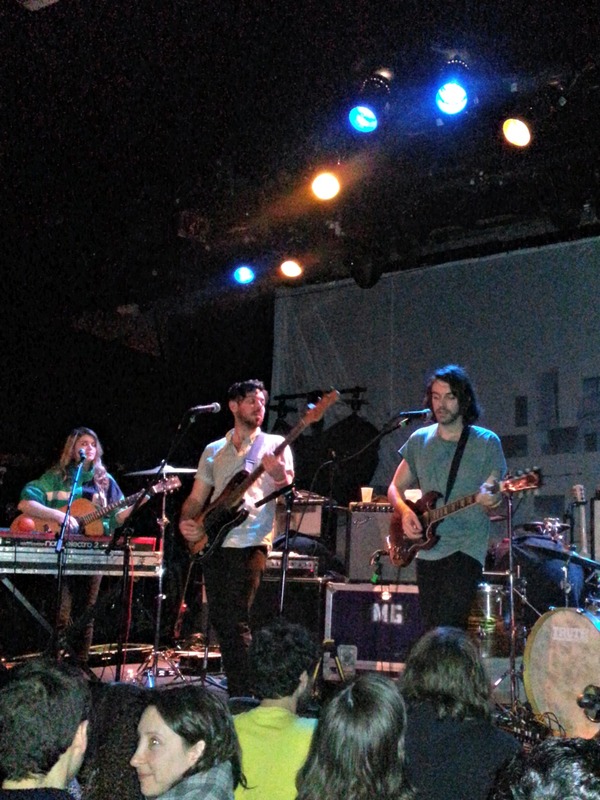 Like Meg said, the band sounded even better live than on their eponymous debut release. “Autumn Tree” is one of my favorite MG songs. After the show, we realized that two members of the band, including Marlana Sheetz, the lone woman of the group, were working the merch table. It made me buy a shirt, obviously. I wanted to ask what touring with all guys was like for Marlana but she seemed tired, understandably. This entry was posted in Music, NYC and tagged Andrew Heringer, Autumn Tree, brooklyn, concert, Curtis Marrero, Graham Fink, Marlana Sheetz, Milo Greene, Music, nyc, Robbie Arnett, Williamsburg Hall of Music on March 11, 2013 by onechicklette.